﻿﻿Friends at Rainbow Bridge - Gone, but never forgotten. Our special friends are with us for far too short of a time. While they are here they teach us so many lessons in love and patience, in humour and problem solving. But perhaps the biggest lesson we always seem to come away with is to enjoy every single moment together. These Woofjocks, each one a special and unique individual, are no exception. They lived their lives fully and happily. From performing on stage to interacting with the audience after the shows, to competing in an array of sports, hiking in the forest, lounging on sofas, eating their favourite snacks, you name it… They did it all with such passion and zest. We love all of our Woofjocks and we are so sad they had to leave us so soon. Each and every one is missed, loved and will forever be remembered for the amazing dog that they were! Don't let her shy demeanour and giant, sad brown eyes fool you -- Lady Eleanor was one fierce competitor. 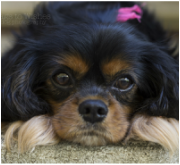 Many are the jaws that have dropped after having underestimated the powers of this tiny Cavalier King Charles Spaniel. One of Eleanor's favourite events was running with her brother and side-kick Rigby. We miss you sweet angel. Fredericka first performed with the WoofJocks in the summer of 2014. She was a beautiful All-Canadian Mixed breed dog. She loved to perform and be in front of an audience. She not only achieved her Agility Trial Champion of Canada title, but she also won the Ontario Regional Championships many times and had been in the top 6 at Nationals every year since 2007, even winning in 2010. She excelled in everything she tried and never ceased to amaze me with her talents. Fredericka was also the fun police at our house and was not afraid to let the other dogs know if they were breaking any house rules. Her favourite place to be was always on an agility field or in front of an audience. We all miss Fredericka very much, but no one quite as much as her best friend and trainer Jennifer. 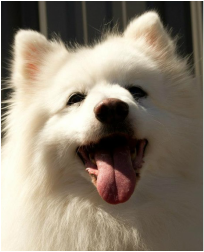 ​Chester was the most vocal and comical dog you ever could meet. The bigger the audience, the louder he got. He loved to be the centre of attention. Chester also loved hiking, sniffing, howling, car rides, and most of all, FOOD. Chester loved learning new things. His favourite pastimes included scavenging through pockets for treats and sleeping on the couch. He enjoyed playing treat games and competing in agility. He was always sure to let everyone know that it was his turn up, he made sure that you couldn't miss him... But we all sure do now. He was such a joy to watch on stage, and he was always sure to make you smile. Garth Brooks was a much better athlete than singer… Garth, even at 13 years of age, loved to perform for a crowd as he had been doing since he was 4 months of age. Garth Brooks was a big asset to his flyball team in his younger days when height dogs were in great demand. After joining the Woofjocks team, his favourite parts of the show were always the agility courses, musical mats and the Stack’m or Snack’m game where he was often a winner (as long as Milo didn’t knock his stack over). Garth was certainly one of a kind, and is missed by his family and teammates. Jagger was a very tiny Belgian Malinois and was a rescue dog. Andrea rescued Jagger when she was 9 months old, and every day they were together Jagger would go out of her way to please her. Jagger performed all over North America and was the winner of the Horse and Dog Relay at the Royal Winter Fair in 2009. Jagger played flyball for many years, and she never did anything slowly. She was always in warp drive, and she would often run the courses without a handler! You would merely have to point her towards a tunnel and watch her go! She absolutely loved to perform and run courses, play flyball, tunnel relays, and high jump alongside her daughter Electra. Jagger was the kind of dog who would never say never to a challenge. She is missed each and every day. 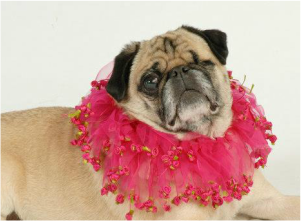 Sierra was one of our distinguished senior dogs, Sierra made her bones as an actress, model and dancer. During her days as a supermodel, Sierra’s picture graced everything from magazine ads to the label of a well-known dog food. 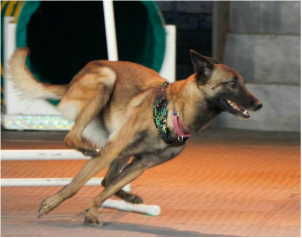 Although she was semi-retired when working with the WoofJocks, Sierra still loved to take an occasional victory lap around an obstacle course. Her perfect comic timing and irrepressible spirit were the stuff of WoofJocks legend. Sierra was the brainchild behind our game "Ball-der-dash". I love you girly - you will forever be in my heart. It was clear from the day he was brought home that Tweed was a very busy boy! He was 14 months old when he joined Kathy's household. 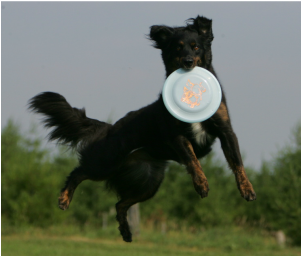 He was immediately enrolled in dog sports, starting with flyball, then agility and disc. Tweed loved to work and always gave it his all in whatever he was asked to do. Tweed was a dog who was happy to work with anyone - as long as they had a tug toy! At home Tweed was a couch potato and could often be found on the bed (usually with his head on the pillow!). Whenever he was not working, he loved swimming and hiking with his family. 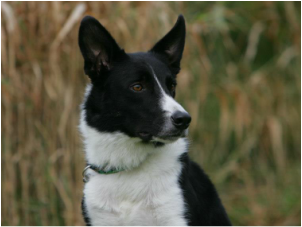 Tweed was a remarkable dog that will always be loved, remembered and missed. Although Hollie joined the WoofJocks as one of our senior dogs, she never let her age slow her down. She enjoyed her retirement years running our obstacle courses, playing WoofJocks signature games and most of all toss and fetch. She also loved playing and running with the junior handlers on our team. 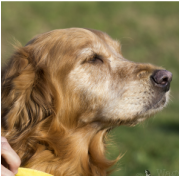 Being a part of the WoofJocks Canine All Stars truly enriched her senior life. We all miss her deeply.